Aleph IT offers the best solution for companies looking for an IT technician. Having a reliable IT technician is essential for the daily operation of your business. Allow us to offer our experience and expertise to enhance your IT system. An IT technician helps maintain and improve a computer system, provide technical support, and develop security protocols. Having one is important in any business because he/she helps develop and maintain company network technology. Additionally, they debug issues, resolve server and computer problems. Therefore, they are responsible for your overall system. Our technician can fix even the most complex problems that you may encounter because they are well-trained by only the best in the industry. Information technology introduced a revolutionary transformation and this transformation can propel businesses to success. As a matter of fact, it is difficult to imagine business that does not embrace the digital revolution. Nowadays, the key to business success is drive transformation and innovation with information technology. The first concern of a business establishment is how to find the best company that offers the best IT support Perth. Of course, look no further because Aleph IT caters to all IT services. Along with these services is an expert IT technician that will fix your complex IT concerns. Without an expert IT technician, your business or organisation will definitely not go far. For all your IT-related issues, call us now! 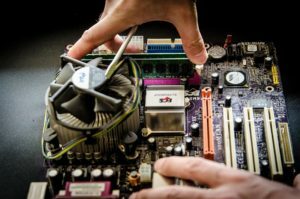 We are always ready to give you the best and expert IT technician. This entry was posted in Aleph IT Services and tagged expert it technician, it support technician, it technician.